Being Retro: What Are You Looking Forward To In 2012? From Movies like "The Avengers", "Hobbit Part I" or "Dark Knight Rises" being some of the top films making big bucks. I know there like 10 more big titles, but I really want to know what your favorite movie is that is not one of these blockbusters? I am looking forward to "Ghost Rider II: Spirit of Vengeance", "Wrath of the Titans" or "Tim Burton's Dark Shadows"... this all before June. So what are you looking forward to in 2012 in the way of "Gotta-see-em". RE-KILL AND UNIVERSAL SOLDIER: A NEW DIMENSION are high on my list to see as well as THE EXPENDABLES 2. Not one of the blockbusters? The Cabin in the Woods, the next Joss Whedon film. Trailer looks great! 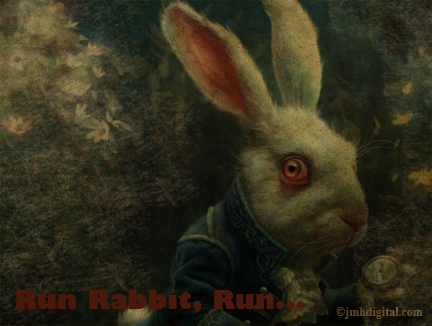 And like the Pink Floyd line with the rabbit picture. I'm looking forward to the movies you mentioned, but I more looking forward to a new book that is tentatively titled: "Mother's Milk." I hear it is going to knock everyone's socks off! @jason... did not hear about a new universal soldier, the last one was very entertaining. @lurker... don't know why never got into that series, i love kate. i have too watch again. @sharon... woman in black is looking awesome... i think radcliffe could be the next depp. @alex... at first i thought it the remake of evil dead... it's a weird trailer... and the rabbit, Floyd would be proud. @ant... i know i cannot wait to be able to share it!